Casino Heroes – Oktoberfest 2017! Enjoy daily casino specials, Free Spins and tournaments! 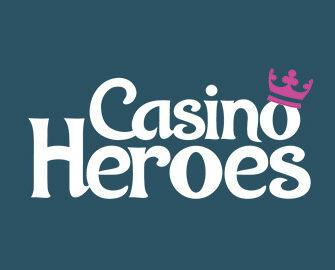 The Oktoberfest this year at Casino Heroes turns out to be an endless party with fabulous daily offers to keep all players well entertained and rewarded. Zoom across the islands with double speed throughout the weekend, take advantage of the Ruby sale on Monday, compete for the single highest coin win and cash prizes on Monday and be the first to reach the Free Spins mark on the progress bar on Tuesday and Wednesday for up to 370 extra Free Spins. Not yet being a Hero? Then sign-up now to claim their just as awesome Welcome Package with a 100% deposit bonus and an intergalactic 300 Free Spins. Get ready for a month full of fun, entertainment and special rewards as Casino Heroes launched its 2017 “Oktoberfest” campaign. Daily offers will make sure that everyone is enjoying the party with extra tournaments, casino offers and Free Spins. Watch your avatar zoom across the islands with double speed this weekend. Every time you spin the reels your avatar will go off like a rocket, making twice as much progress as normal. 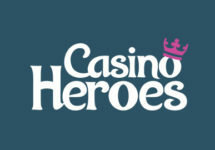 Don’t forget, Casino Heroes this offer is available on mobile and desktop. 10% sale in the Ruby Store. This means you can put those Rubies in your pocket and stroll down to the Ruby Store and get your hands on extra valuable Free Spins, worth up to €4. Featured games in the sale are The Legend of Shangri-La: Cluster Pays™, Fireworks Master & Jungle Books. Play Vikings go Wild in Casino Heroes’ awesome lunch tournament between 12:00 – 14:00 CET. Hop on board the Viking ship, chase that loot with the single highest coin win in a single spin to get your personal chunk from the €1,000 prize pool. Place in the TOP50 to enjoy your prize on Tuesday. No need to get bored on your lunch today. Be the first to reach the Free Spin mark on the Progress Bar in the Boss Races for up to 370 Free Spins over the next 2 days. Race day 1 – Mayana, Race day 2 – Jungle Books. Now during Oktoberfest, you can win even more in their campaign Race against the Boss, starting 12:00 CEST on 10th October 2017.